The hull design, cockpit ergonomics and rig size result from extensive R&D meaning the RS500 is ideal for sailors across a broad weight range. 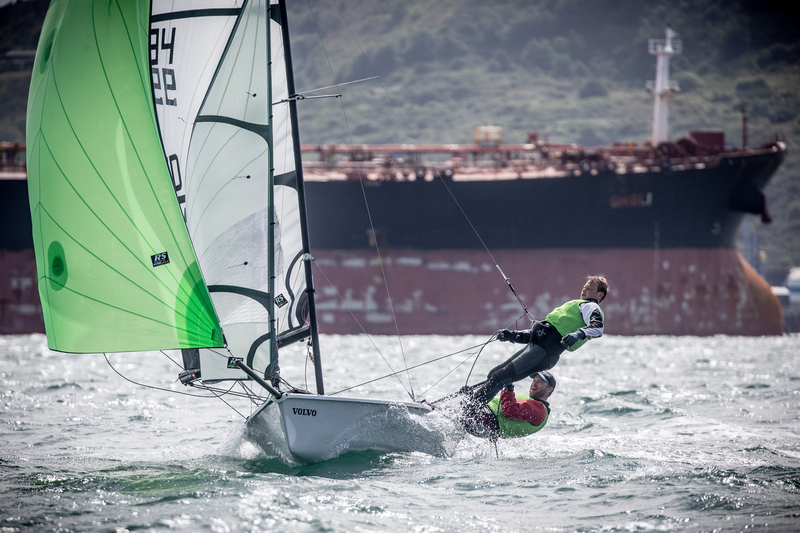 The RS500 suits mixed crews, both young and more experienced. The clear cockpit and user friendly performance mean the RS500 is equally at home blasting along a beach as it is on the race track. It is not only fast and fun, the RS500 is also rapidly growing popularity. The RS500 is quick and simple to rig, launch and recover. The pivoting centerboard and the rudder make life easy. The shallow cockpit is self draining, uncluttered and makes wire to wire trapeze transitions easy. The compression kicker above the boom gives loads of space for the crew through these manoeuvres and when hoisting the kite. The gennaker chute is wide for quick launching and recovery without high loads on the single line hoist system. These features make RS500 sailing exciting yet straight forward which is perfect for the modern day sailor, and their families. The tapered aluminium mast provides effective gust response and rig tip efficiency, contributing to the RS500s highly attainable performance. Every element of the RS500 has been worked on to add performance, make the boat easier to sail, reduce complication and streamline production. This has resulted in a surprisingly cost effective performance boat that offers something for everyone, from racing couples to adrenaline packed blasting. The RS500 is light and easily driven, delivering truly exciting performance with remarkably easy handling. Hull Length: 4.34 m / 14'3"
Beam: 1.58 m / 5'2"